What are terrorists? What is terrorism? Why is there so much talk about it? Why do people fall prey to them? These are some of the questions asked by many of us. The elders try to answer them but they can’t satisfy the needs of those who have plenty of questions. These plenty of questions also arise in patriotic minds who have urge to save their land but their strive goes to vain when there is no one to support them. Despite many warnings and preventive measures, the number of terrorism victims is continuing to increase. Most of the people who have nothing to do fall prey to these terrorists, they ruin their as well as the lives of innocents. This is an alarming situation. The victims to brainwashing (to conduct terrorist attacks) are mostly honest including little children living in a world without luxuries. They belong to poor families wasting their precious time wandering to and fro. Sometimes this poverty leads them to be a terrorist. They take lives of those who are out to gain knowledge in educational institues or religious places like mosques. They don’t know that taking lives of innocents is a big sin. Prophet Muhammad (P.B.U.H) advised to seek knowledge even if one has to travel to china. These terrorists have no religion but they often use the name of Islam and hence blame this holy and peaceful religion. They are brainwashed. How our country is so easily caught in the net of terrorism? Usually people who enter our country through borders are not checked properly. They are the ones spreading terrorism, kidnapping innocent people, and providing the wrong sinful knowledge of religion. Once someone falls victim to it, it is very difficult to shake them off and revert them to a peace loving state of mind or sometimes it is very late as they have already blew themselves off. Because of this, sometimes sole earners of families are ruined and become unable to support their families. We must join our hands to maintain hope and we must try to return those honest fools a normal life. Together we all can do it. We should all contribute to make our beloved country Pakistan a peaceful and prosperous country. 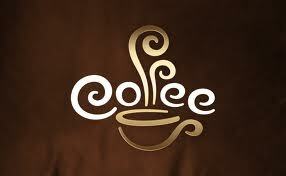 These days coffee is on every other young mind but coffee is becoming a great confusion. Days back , there was a coffee and you drink it but now it has different categories. Have you ever gone into a cafe and looked at the menu with the puzzled thought – what is the difference between all of these drinks! Well , there is a huge difference between cappuccino, latte, mocha and espresso These are some common types seen in Pakistan. The froth on these need not be mounded up in a heap on top of the milk – in fact this is a common misperception. If you have a good barista the froth will be incorporated through the milk when it is being poured provided enough air is put through the milk at time of preparation. When it is poured the froth will sit to the top of the drink. A latte consists of espresso, and steamed milk served with a small layer of smooth froth on top. Because of the way the latte is poured from the milk jug it is often possible for a trained barista to create ‘latte art’ . A mocha is basically a latte with chocolate powder incorporated into the drink, to give that coffee, chocolate flavour. It is served similarly to a latte and latte art can also be achieved on these. When latte art is carried out on a mocha they can look very good due to the stronger contrast between chocolate and white froth. An espresso is very simple, it is the longest pour that can be carried out with a given amount of coffee grounds. For Served in a demitasse glass or cup, this is the coffee brew carried out quickly and under large amounts of pressure to draw out all of the complex and best attributes of the coffee beans. Now, enjoy coffee without confusion. People say politicians are actors, but it is not right to say this as they are the most patriotic people like our army men, like we are and who so ever the part of his patriotic land. Have you ever given a thought to it? That how difficult it would be for us, the common public to survive in this world of hypocrisy, people cheating each other and what not to be seen in our daily lives…No! We can’t survive if politicians do not play their role in our lives. They are the ones who control things because for controlling of things we can just not rely on police men as police men are also to be controlled by someone. And it is man’s nature that he is found with different moods. In actual fact, politicians are not actors but it is the fault of our media who exaggerate and provide such views about our politicians and they do so through talk shows on channels. Those people are ordinary people and talk against politicians. Mainly they are actors who try to be politicians. Just give a thought if politicians would be actors, would there be government hospitals, colleges and schools. Would chief minister of Punjab be arranging different copmetitions and providing money as a token of prize.